GCW Zero Up for Preorder!! 100 Units available! 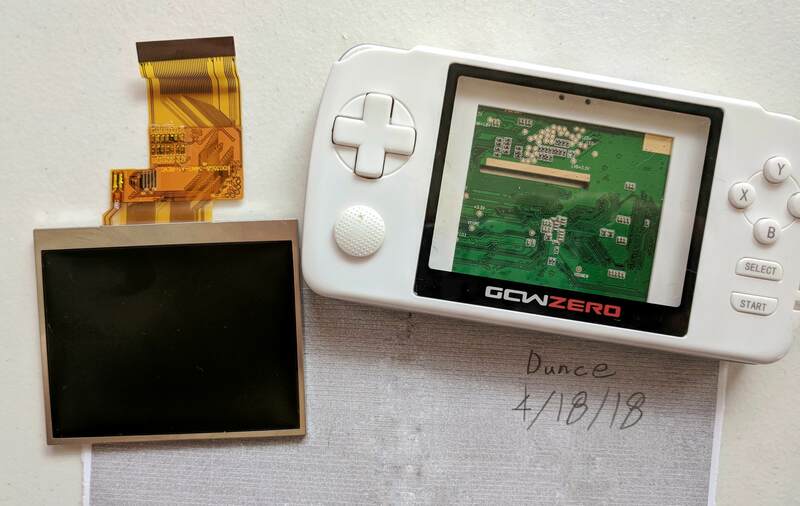 Re: GCW Zero Up for Preorder!! 100 Units available! It's unusual that Fanatic didn't respond. I just communicated with him a couple of weeks ago. I'll try to ping him in the morning. If you don't mind, can you share the communication for members who have preordered? Fanatic hasn't posted on the forum in over two months. I heard from Fanatic a few minutes ago. He said he'll respond to everyone when he's back from work tonight, and refunds will be issued to those who want them. Disclaimer: I am not affiliated with GCW-Zero, Fanatic, or anyone on this forum. I am only a forum user and happen to have a way to communicate with Fanatic. That's all. Thank you Excalibur, that should put some minds at ease. Hi everyone. I spoke with GCW last week. Justin claims the units are in customs now. This may or may not be true, but either way I believe the GCW's are coming. He has sent me a ton of cases, screens, etc to sell. I am not going to send anything out until I have the units (for possible future legal reasons). I have not spent a dime of anyone's money, its in limbo. Also, I am NOT Justin. I haven't logged in recently because I didn't have any new info. I will log in more often to update everyone. If anyone wants a refund, message me with your name and order #. Welcome back, Justin. LOL just kidding. Thanks for returning and updating us on the newest lip-service from Justin. I'll let my friend know what you replied, and that supposedly the units are in customs. His patience may have ran out though, but I will let him know. This topic is 50 weeks old. I hope for everybody you will all get your GCW. It is worth it! Awesome machine! If you are not Justin, are you Dreamesper? Sounds like they're the same person. @PsyOps and @DougOnEarth are probably his other dummy accounts too. I refunded those who asked for it. If I missed anyone please message me with your name and order # and I'll process it asap. I want to thank everyone for their patience, and sorry I'm not Dreamesper. I just wanted to notify for those that have doubts that Fanatic refunded me. He is a man of honour, and whether or not you still want to order a GCW Zero, he can be trusted. And I am sorry to have said before that he bailed with the money. I'll do my best! I will be completely honest about shipping dates and payments. GCW has been paid and production has begun! Very exciting! hi, I have ordered and paid for the shell of GCW in your store(Order #1078 confirmed on April 3). but haven't seen it delivered. I have seen your recent post, and knowing you are waiting for the console units. still expect the shell could be sent out soon. Any new updates? What is current situation?